ITRI is involved with AMOLED technology and seems to be focused currently on flexible OLEDs and efficient blue OLED emissive materials. It also has active research on e-paper displays. In 2016 ITRI demonstrated foldable and rollable OLED technologies, as ITRI become's Taiwan's main facilitator for flexible OLED commercialization. This AMOLED display, according to ITRI, is "rapidly approaching commercial standards". The panels are abrasion-resistant and folding resistant, and can be folded up to 200,000 times with a folding radius of 3 mm. The panels can also withstand being subjected to 1 kg of steel wool friction over 50,000 times. Taiwan's ITRI (or more specifically its Electronic and Optoelectronic System Research Laboratories or EOSRL) aim to establish a pilot line for Micro-LED displays that will start production in Q3 2018. 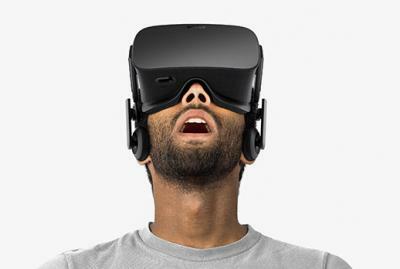 According to reports, the line will be used to produce small displays for VR applications - in addition to large-area indoor signage displays. The new line will obviously have a small capacity, but EOSRL believes that Micro-LED displays may grab up a sizable part of the display market. In a recent tradeshow ITRI demonstrated a new OLED lighting driver that can control different types of OLED panels, including rigid and flexible OLEDs. ITRI says that different OLEDs require different currents, but this driver can support all of the panels on display. ITRI also demonstrated a new flexible lighting panel, which I believe has not been on display before. In addition to the foldable OLED, ITRI showed 36 different flexible display technologies - including new materials, substrates and patterning equipment. Taiwan-based Chunghwa Picture Tubes (CPT) is building a new 6-Gen fab in China, with an investment of about $1.85 billion. Digitimes reports that CPT plans to produce IGZO backplane OLED panels in its second phase. The first phase production is scheduled to begin at around June 2017 (construction will be completed by the end of 2016 and equipment installation will begin in Jaunary 2017). The first phase will produce a-Si LCDs, with a monthly capacity of 30,000 substrates. 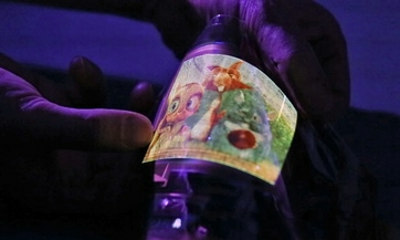 Digitimes did not say when is the second phase planned, and what kind of capacity will be allocated to OLED displays. Taiwan's Ministry of Economic Affairs (MOEA) announced it will actively support the development of flexible AMOLED and PMOLED technologies in Taiwan, in a bid to boost Taiwanese display makers. According to the report Taiwan will invest NT$100 billion - about $3.2 billion USD, although this kind of investment seems unlikely. The Taiwanese government will channel most of the investments through ITRI with an aim to vertically integrate the flexible OLED supply chain and get the Taiwanese makers to co-develop OLED materials, equipment and panels. Just a couple of months ago ITRI announced it developed a foldable AMOLED display, and the institute is also developing flexible OLED lighting technologies. Researchers from Taiwan's ITRI developed a foldable AMOLED display - which fold both inwardly and outwardly. ITRI will transfer this new technology to Chunghwa Picture Tubes (CPT) in Q4 2016. CPT will start trial production at its pilot 4.5-Gen AMOLED fab (currently used to produce glass-based rigid AMOLEDs in small volume). In August 2015, CPT signed a technology-transfer agreement with ITRI for its flexible OLEDs. Taiwan's ITRI showcased over 30 new OLED lighting lamp designs, it co-developed with the Taiwan Lighting Fixture Export Association (TLFEA). 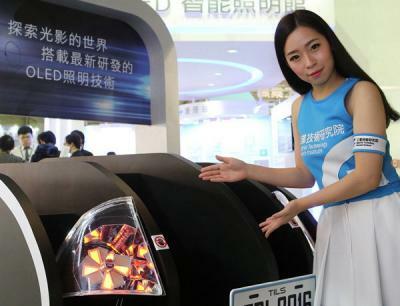 ITRI also demonstrated a new automotive OLED lighting prototype it co-developed with Ta Yih, which you can see below. ITRI is reportedly building a Roll-to-Roll (R2R) R&D pilot line to produce flexible OLED lighting panels on flexible glass substrates. The line will be operative by 2017, and will be able to produce about 700 panels per month.